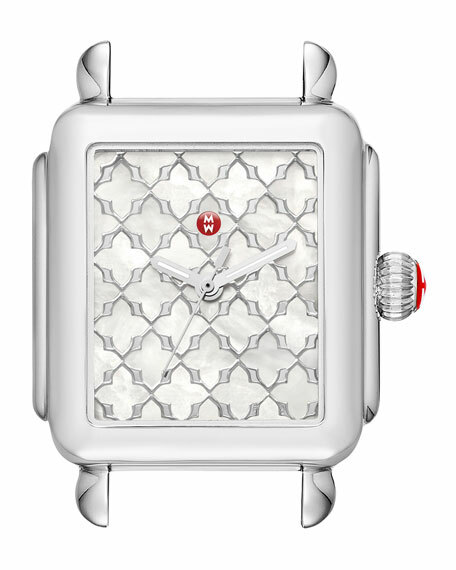 MICHELE watch head from the Deco Collection. 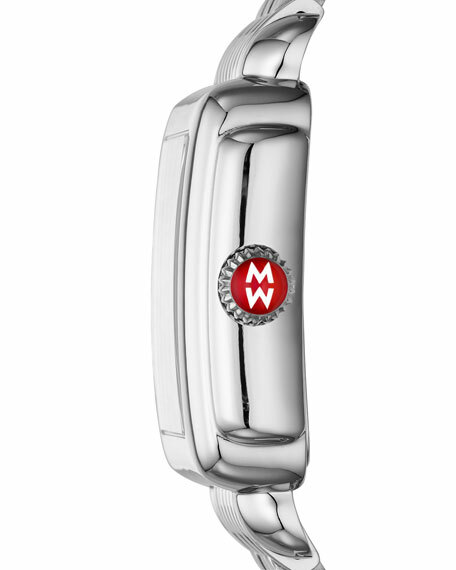 Signature MW red logo detail and winding crown. For in-store inquiries, use sku #2521653.